Erik Woodfolk currently serves as the Director of Federal Programs and Services at KesselRun Corporate Travel Solutions. With more than 18 years of experience in Federal Travel Management supporting eTravel products such as E2 Solutions, Concur Government Edition (CGE) and FedTraveler, as well as Defense Travel System (DTS). Erik has been responsible for agency-wide migration from ETS1 to ETS2 including reviewing ETS2 technical documentation provided by Concur and other ETS2 vendors. He is experienced with a full range of eTravel implementation activities including: Business Process Re-engineering (BPR), ETS2 testing and evaluation including creating and modifying test scripts and scenarios for ETS2, project management, training, customer support, Database Development voucher reconciliation, and establishing and managing help desks. Erik has in-depth understanding of information system technology, Federal Travel Management, Federal Travel Regulations (FTR), Joint Travel Regulations (JTR) and the Federal procurement process. He has extensive experience managing the global travel systems of large federal and DOD agencies. His strengths in are the areas of management information, transaction workflow analysis, accounting systems process flow, on-line data transfer, and systems implementation. 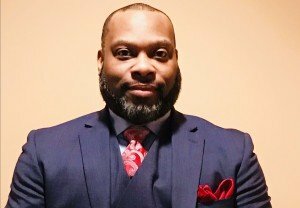 He is proficient in multiple federal travel technologies including: E2 Solutions, FedTraveler eTS, Defense Travel system, ETS2- Concur, AMS-FFS Accounting Systems, Momentum/GFMS Accounting Interface, TSYS (Total Systems) Credit Card Processing System, Gelco’s Travel Manager, PIV Cards, MS Project, MS Office Suite, Contract Management, Project Management, CWT On-line Booking Engine (OBE) and Global Distribution Systems (GDS). As Director of Federal Programs & Services, Erik is responsible for acquisition and management of new and current federal clients. He oversees multiple employees for KesselRun’s federal clients providing daily customer support for eTs and eTs2 travel systems. He provides monthly status and metric reports to each of our clients capturing productivity, mandated reporting to GSA and OMB, and frequent issues in efforts to establish a more accurate training curriculum to better meet the needs of agencies user community. Erik supervises and has assisted in the training of our client’s user community through monthly training classes and scheduled workshops. He participates in scheduled meetings in an advisory capacity providing insight to standard industry practices and methods that can be implemented to ensure efficiency and ease of use for agency travel practices.